Everything has to start somewhere. In television these days, that means producers developing scripts for possible series, lengthy casting searches and production schedules, endless notes from the network (who is paying for everything, so they get a significant say), and HOPEFULLY the making of a pilot that can cost multi-millions of dollars. All of this is on the longshot chance that a series deal will happen… so producers can find out if they can get MORE money to spend on a show that might get canceled in a month. It’s a crapshoot, except Las Vegas gives better odds. But it’s the system that’s developed through the years, for better or worse. Of course, back in the late ’60s and through much of the ’70s, there really was a better way. The concept of a “TV-Movie of the Week” provided both exciting fare and the possibility of a “back-door” pilot that could still see the light of day even if it didn’t lead to a full series. NBC and Universal first came up with the idea of movies made directly for the television market in the late ’60s. They crunched the numbers and figured out that they could make a 90-minute film (with commercials) for the same cost as what some movie studios were charging for the rights to air their previously released blockbusters. A win-win for both Universal and the network, as it kept production cameras rolling on new projects that had guaranteed return; and saved NBC money in the long run, giving the network new, original programming every week with stars and directors that wouldn’t necessarily agree to be tied down to longer series contracts. 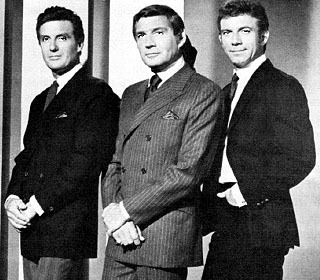 Robert Stack, Gene Barry, and Tony Franciosa from "The Name of the Game"
It also gave NBC a showcase for potential new series involving those that were looking into longer term projects, and a way to determine audience reaction to possible new shows. The TV-movie Fear is the Name of the Game was the first of these to move from TV-movie pilot to series format, becoming The Name of the Game in 1968. This also helped develop the relationship of NBC and Universal so much that Universal became the largest provider of programming to the network at one time, and (many years later) they actually joined forces and became one company. And they weren’t even the best at this. Cut to 1969. The ABC network had long been seen as the brash young upstart in television circles, with a few decent series here and there but no real strength or consistency in presenting dramatic series. Their previous successes had been in the comedic realm, with things like Batman and Room 222. Looking for a way to become stronger and better recognized as a network, they began airing the ABC Movie of the Week. 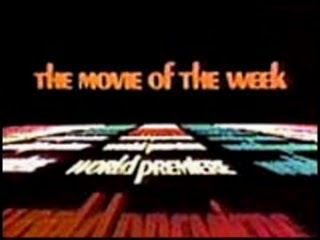 Although they had previously been airing feature films as part of their ABC Sunday Night Movie, the Movie of the Week on Tuesday evenings was designed primarily for just the type of low-budget action and suspense movies that could possibly take ABC from being an afterthought in dramatic TV circles to a true player without breaking the bank. To give you a comparison, the current series Mad Men, on a cable budget, costs close to $3 MILLION dollars for EACH 47-minute episode (sans commercials), and they have standing sets they use repeatedly each week. These TV-Movies had to either make everything from scratch or shoot on location (or both), so you had to find ways to save money. This began what I call “the Die Hard system”. Now, the theatrical film Die Hard wasn’t made until 1988, but it’s the best short-hand way to talk about what some of these films had to do in order to be both successful and profitable. In a nutshell, the original Die Hard is about one man in a building, trying to stop another man in the building. So, for the vast majority of the movie, the sets and location consist of nothing but interiors of that ONE building. TV producers love this sort of thing, because the fewer sets they have to build and the fewer locations they have to move the production company to, the less money they must spend. Some of the TV-movies were almost archetypes of this style. Trapped, starring James Brolin, featured a man who had been mugged in the bathroom of a department store… and when he woke up from the attack, his nightmares had just started. The overnight security was a set of angry Dobermans, and there was no one else in the building. The movie was all about how he was going to survive against these dogs until morning. One location (the store) for all the action, no costs to actually build sets, one primary actor for the majority of the picture, and three dogs… no cast of thousands, no special effects, just drama and suspense on a budget. Short Walk to Daylight was about a group of people in a subway tunnel who are cut off from help due to an earthquake, and their efforts to escape their fate. It was a combination of disaster movies like The Towering Inferno and The Poseidon Adventure on a limited budget and, again, one large set. Just move the fake rocks and concrete around, and you’ve got a new section of tunnel to get through! And if you think this sort of thing wasn’t both successful and memorable, check out the theatrical release of Daylight from 1996 starring Sylvester Stallone. Similar plot, bigger budget, and honestly probably less successful because it depended on that budget for action sequences and special effects instead of telling a good story… which was all the TV-movies really had–storytelling. And audiences ate it up. The success of the concept (both in terms of profit and viewership) encouraged ABC to extend their made-for-TV movie night to twice a week. The original Tuesday night showcase gained a sister slot on Saturday for a time, and then the Saturday movies were moved to Wednesday (the better to be promoted on the Tuesday night entry, and to run the occasional two-parter). The network even started a production arm, ABC Circle Films, to produce a percentage of these features “in-house”. ABC also used these weekly slots to air pilot episodes for potential new series. Numerous successful shows got their start as movie-of-the-week entries. The list includes Marcus Welby, M.D., Alias Smith and Jones, The Six Million Dollar Man, and Starsky and Hutch. 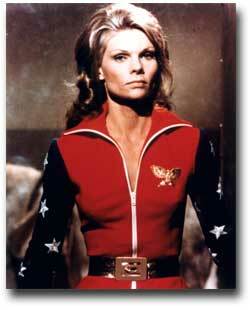 TWO pilots for Wonder Woman also aired, but the first one starred actress Cathy Lee Crosby, while Lynda Carter replaced her in the second… who ever heard of a short blonde Wonder Woman? Rival networks even adapted movies for their own series, as the mystery Do Not Fold, Spindle, or Mutilate became the blueprint for NBC’s series The Snoop Sisters a few years later. Producers found another way to make an extra buck off these relatively inexpensive films, as many were released as theatrical films overseas. Thriller movies and broad, almost slapstick comedies (such as Wake Me When the War is Over with Ken Berry and Zsa Zsa Gabor) made reasonable money “across the pond”, as the market for “budget” pictures had dried up in America… especially when you could watch a new movie (or two) every week on television! It was also a place for younger, not-yet-tested craftsmen and women to hone their talents without risking major movie finances. 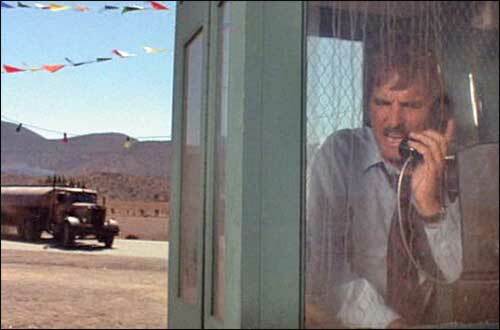 One of the biggest early successes was the 1971 TV-Movie Duel, an unusual picture starring Dennis Weaver as a man who absent-mindedly cuts off a semi-truck driver along the highway… and spends the next 90 television minutes in terror as the unseen truck driver and his menacing rig stalk him on the roads, leading to a suspenseful and dramatic finish. This was the first film directed by a very young Steven Spielberg, already showing flashes of brilliance in taking a film that has long stretches with absolutely no dialogue and still keeping audiences on the edge of their seats. More heartfelt emotional stories also found a place here, with movies like 1971’s Brian’s Song. It told the real-life story of Chicago Bears football players Brian Piccolo and Gayle Sayers, and dramatized their friendship at a time when race relations were seldom discussed on television (and if they were, it was usually about the negative and not the positive). 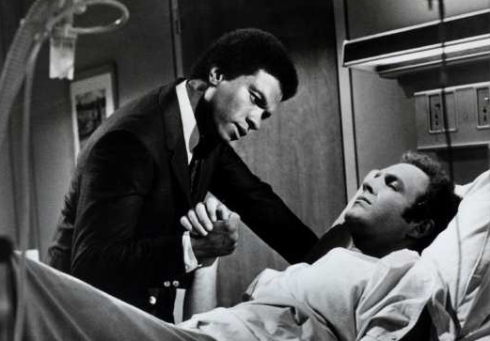 Piccolo was white and Sayers was black, and in their story it didn’t matter… what was important was Piccolo’s struggle with cancer and his friendship with Sayers. The movie was not only hugely successful, but it helped become a turning point on television, starting a better representation and portrayal of minority characters and human relationships on the small screen. And although that particular journey isn’t anywhere near done, at least the first steps were taken. 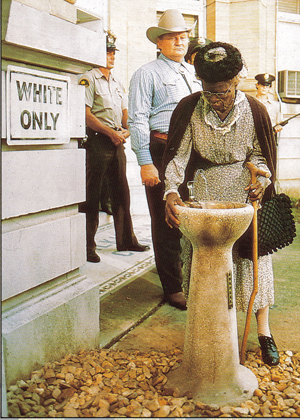 More steps advanced with The Autobiography of Miss Jane Pittman, in which actress Cicely Tyson gave a bravura performance portraying the 100-year life of a woman who had seen the sociological change of the African-American experience over her lifetime, and the various forms of persecution and grudging acceptance along the way. Tyson won an Emmy for her 1974 performance, and the TV-Movie as a genre was now seen as just as relevant and vital as any serious drama series. Another groundbreaking film was That Certain Summer, which starred Hal Holbrook and Martin Sheen as a homosexual couple struggling with how to tell loved ones about their relationship. It was 1972, and the first time the subject had been addressed sympathetically on television. The movie was nominated for seven Emmy awards. For a series of movies that had originally been designed as “fast and cheap” productions, the genre of the TV-movie had become much more prestigious… and that may have ultimately led to its downfall. Many fewer TV-movies are made today, and the idea of the 90-minute television presentation is almost unheard of. As Dan Curtis said, the small number of productions that do see the light of day tend to be those which can be promoted as “events” instead of just “regular television”, and many of the movies that had been made back in the heyday of this style wouldn’t stand a chance of being produced in the current environment. Even the idea of the TV-movie being a showcase for potential pilots has gone by the wayside, with pilots for series these days either costing incredible amounts of money (the two-part pilot for Lost is reported to have cost over $10 million itself), or with shows only budgeted to shoot a “pilot reel” instead of a full episode, with the idea that the film would be “fleshed out” if the concept was bought as a series (Castle, for example, was sold this way). As a result, most pilots for shows that don’t make it to series runs are never seen by the public at large, ironically meaning that the very viewers that networks are wanting to impress never get to see all the possibilities available. And yet, some of those original TV-movies were so good that talk of remakes continues today. Trilogy of Terror II was released theatrically in 1996, as the original movie had become a cult hit (and currently available on DVD). A remake of Brian’s Song was produced in 2003, and a reboot of The Night Stalker series aired in 2005. There’s a legacy of popular shows that first aired in this form. Almost 20 series got their start as ABC movies, plus more than a few series on other networks like The Waltons on CBS and Ellery Queen on NBC began in similar fashion. (A previous article on Ellery Queen is here.) Television history simply wouldn’t be the same without this particular style, one that has vanished on networks today. It’s a shame, though. There’s a place for standalone storytelling, as well as trial balloons for potential new series… it’s too bad that there’s no place to see them like this anymore. Next week, I’ll cover one of the shows that got its start on the ABC Movie of the Week… until then, I’ll just leave you in suspense, the way some of those great TV-movies did. See you then!